Firelake Manufacturing has been designing and manufacturing disease control and waste reduction incinerators along with animal crematoriums for over forty years. We have designed and built equipment that is located all over the world under our Firelake name, our Shenandoah name, and often branded with other names appearing as the manufacturer. If it looks like ours it probably is. Come direct to the source, we are here to listen. Our equipment is relied upon in every market. Our incineration systems out perform all other waste solutions and offer a long-term, sustainable means of disposing of waste. Firelake incinerators and crematoriums are compliant with EPA and air quality regulations, making them a preferred choice in incineration systems. Thank-you for helping us figure out and comply with a unique specification in our incineration system! Industries who trust Firelake incinerators to help power through tough jobs include poultry farms, commercial Ag-related businesses, hunting and gaming farms, mining camps, remote communities, veterinarian schools and clinics, hospitals, laboratories, and other healthcare facilities tasked with proper disposal of medical waste. Experience the Difference in Your Bottom Line! At a time when fuel costs are on the rise, it’s critical the incinerator or crematorium you choose is as efficient as possible offering “energy saver” controls like those available with Firelake incinerators. Firelake incinerators offer a clean, one-time burn which translates to using less fuel consumption and lowering fuel costs, which is important to your bottom line. Firelake incinerators and crematoriums are a clear choice for your unique incineration needs and budget! Durable. Reliable. Cost Effective. Consider our LEASING or FINANCING options as affordable monthly costs! Not sure what type of incinerator or crematorium you need? Have a unique application that needs knowledgeable consideration and guidance? 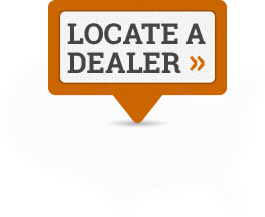 Call Us Toll Free at (866) 252-3757 to contact a dealer nearest you.